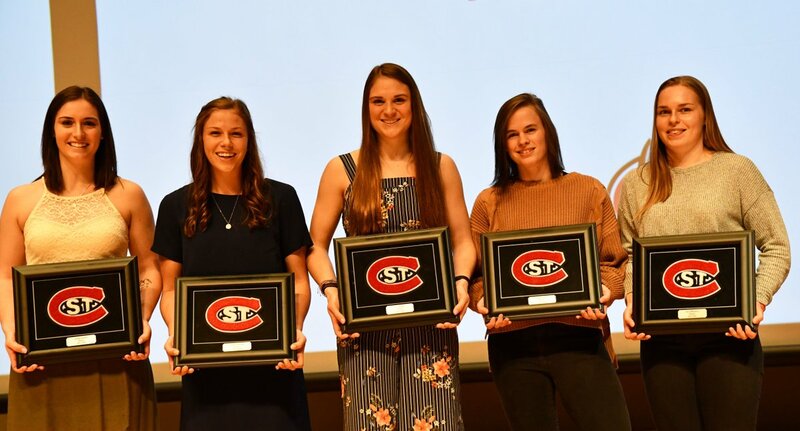 Competing Huskies include junior goaltender Janine Alder (Switzerland), sophomore forward Laura Kluge (Germany), sophomore goaltender Emma Polsuny (USA), and incoming freshman Klára Hymlárová (Czech Republic). 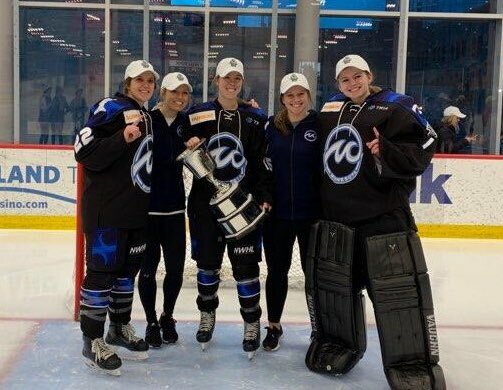 Laura Kluge scored the GWG in today's game one of the 2019 IIHF Ice Hockey Women’s World Championship in Espoo, Finland. Germany won over Sweden 2-1. Good job Laura! Team workouts are the best when the team has the same goal! 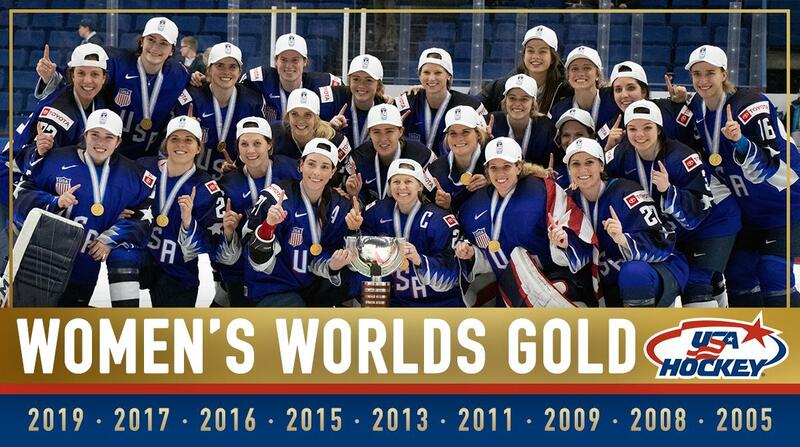 Congrats to Huskies’ goalie Emma Polusny and @usahockey! We’re with @WhitecapsHockey player @UptownFunk22 at the #StickittoCancer celebrity game! We’re so proud to have Kalli on the NSC and @HerbBrooksFDN team! What a champ! Celebrating another year of outstanding student-athletes, coaches, teams and accomplishments at St. Cloud State on April 17...the @SCSUHUSKIES Senior Send-off. A special thanks goes out to Sue Wahl Storbeck and Lee Storbeck for helping make this event a success. 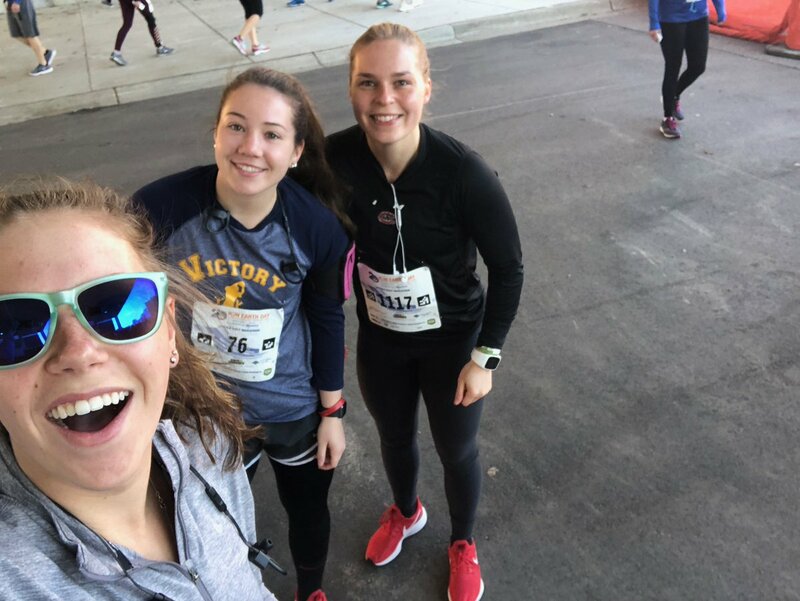 Half Marathon! Complete! 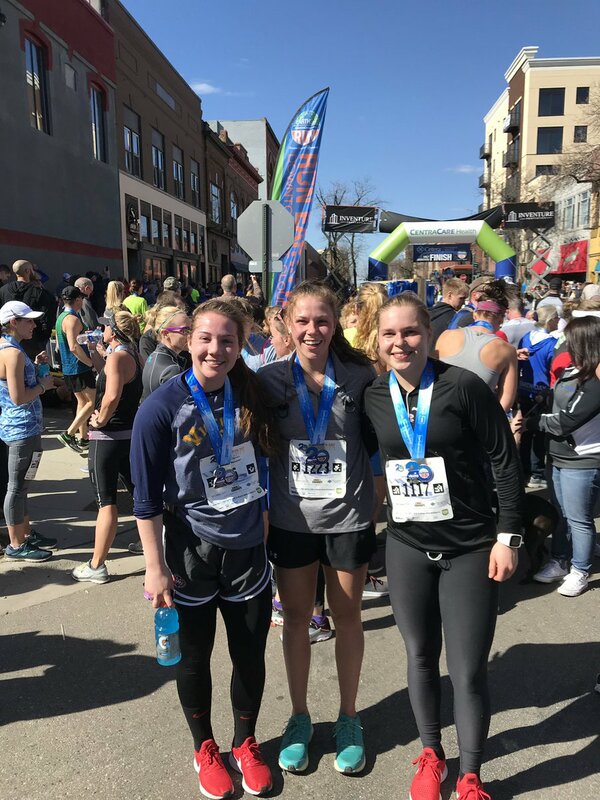 @hannahpotrykus @OllikainenSuvi @HannahBates08 way to go ladies! 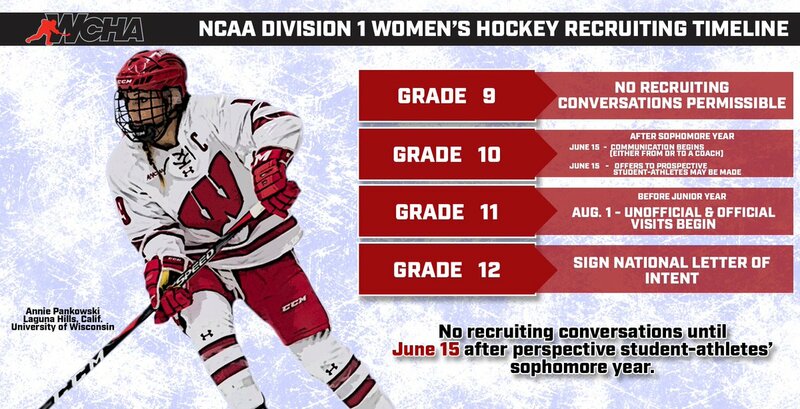 We put together this infographic to provide an overview of the @NCAA D1 women’s hockey recruiting timeline under the new rules, which go into effect May 1. Special note: men’s hockey & women’s hockey will now have different recruiting timelines.